The Intergenerational Fairness Forum (IFF) is an All Party Parliamentary Group (APPG) that was established to encourage increased understanding of how policy impacts intergenerational relationships. Chaired by Baroness Greengross, this meeting was focused on discussing how England can adapt to the pressures caused by the increased need for robust social care. 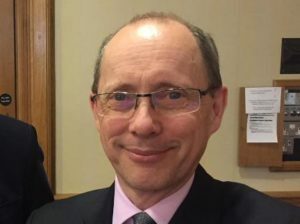 Sir Andrew Dilnot – former director of the Institute for Fiscal Studies (IFS), now principal of Nuffield College, Oxford, and chair of the 2011 Commission on Funding of Care and Support – presented his analysis on how we can adapt to this pressing need. Dilnot opened by urging us to not think of ageing as a burden, but instead as a triumph. It is, he argued, reflective of impressive modern advancements that we are all living longer than ever before. Of course, however, the consequence of this is an increased strain on the NHS and a larger demand for social care than has ever been previously experienced. “The question is not about what we should do, but about where the money should come from,” Dilnot said. Having asserted the need for more to be spent on social care in England, he proceeded to outline how this could be done. He started by making it very clear that the cost of this should not be shouldered by the young, explicitly stating that the costs of increasing social care should not be a transfer from young to old. A strong argument for embracing market efficiency was made – that if we were all to shoulder some of this cost, it would be much easier to fund, compared to the astronomical costs that would otherwise fall to individuals. Essentially, it is reasonable to expect older generations to contribute in some way. Therefore, Andrew Dilnot proposed levying National Insurance Contributions (NICs) on all people in paid employment. This would mark a significant change from the current system, where those above state pension age are exempt from paying NICs – something Dilnot described as a “very strange thing”. This reform would increase intergenerational fairness, whilst also raising a significant amount of revenue from the 1.2 million people above state pension age who are still in paid employment. When the Beveridge report was written, there was indeed a strong correlation between pensioners and the likelihood of living in poverty. Therefore, in 1942, it made perfect sense to give concessions to the elderly, as a way of improving their quality of living. This is no longer the case, as Dilnot eloquently depicted through a range of figures that showed how “old people are massively better off”. And, as Dilnot says, the fact that “being old” and “being poor” are no longer synonymous is a very positive development. But this does mean that, because the older generation have more resources at their disposable (both financial income and property assets), they should be expected to foot part of the bill associated with their increased costs of living and social care. The questions after Dilnot’s presentation explored the practicalities of this potential new reform, and how it could be explained to the public. An excellent point was made that contributions which people have paid so far in NICs have been used to pay for pensions, but not this unprecedented figure of social care costs. This potential change in how NICs are levied must be effectively communicated to all, across the generations. It must be made clear to everyone that there is an unprecedented crisis in social care funding, and that significant steps must be taken in order to solve this. Ultimately, it certainly seems fair that older generations (who have more resources at their disposal than ever before) should start contributing to these costs. Otherwise, once again, it will fall to younger generations to shoulder this significant financial burden.